Coming in a special ‘Maltese Cross’-shaped digipak with artwork by Martin F. Bedford. 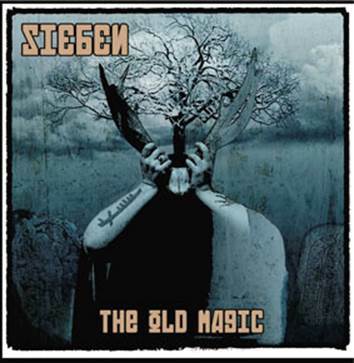 Matt Howden’s Neo-Classical project SIEBEN finally returns with a new physical release! The Album brings together and further develops into a cohesive whole, the digital EP series started last year. It contains mostly re-worked, new 2016 versions of selected tracks from the 3 EPs ‘Lietuva’ (May 2015), ‘Norse’ (November 2015) and ‘Briton’ (February 2016), previously available in their original form as digital downloads only – plus 2 new, Exclusive Tracks, not available anywhere before! The mood is firmly set in Roman Britain. Matt Howden, Sieben, is in more confrontational and hypnotic mood than ever.